Implementing condition monitoring can reduce the frequency and cost of equipment maintenance. Specifically, vibration analysis can provide valuable insight into machine condition, flagging up problems before extensive damage occurs. Here Chris Johnson, managing director of ball bearing supplier SMB Bearings, explains the steps machine builders should take to reduce the likelihood of bearings being the root cause. 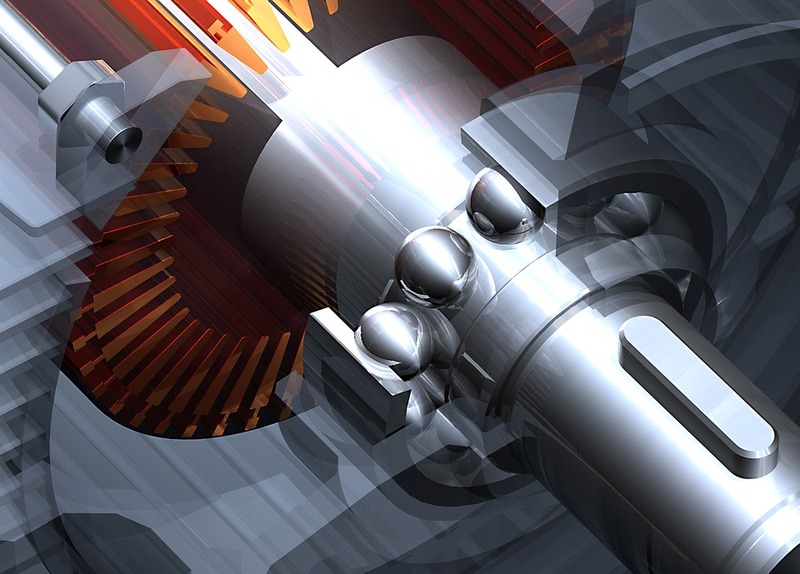 With large numbers of rolling elements in industrial machines, it can be tricky to decipher exactly what is going on inside a unit. Condition monitors often use accelerometers to measure vibration. It is possible to differentiate between vibrations by examining the individual frequencies present in the overarching vibration signal. These frequencies can then be used to match to individual parts or certain malfunctions. This analysis can warn of faults well before failure. In the case of bearings, it is possible to detect excessive rolling element wear or damage due to poor fitting techniques enabling bearing replacement. The alternative would be to allow the bearing to deteriorate further and potentially cause other components to fail. Other problems that vibration analysis can detect are misalignment, lubricant problems or incorrect shaft/housing fits. With early detection, it may be possible to rectify these issues well before costly bearing failure. As a safety net, regular vibration analysis can be used to confirm bearing condition and prevent catastrophic failure. However, if the right precautions are taken to lessen bearing vibration during machine design and bearing selection, the likelihood of faults is greatly reduced. From a bearing manufacturing perspective, a low noise or vibration rating is achieved by paying attention to the surface finish of the raceways and balls, their roundness and selecting the correct cage design. Finely filtered low noise greases can also be used to reduce vibrations. These contain fewer, smaller solid particles which can generate noise when they pass between the balls and raceway. Accidental dirt or dust contamination can also increase noise and vibration levels, as this inevitably affects the rollability of the bearing. Bearing shields or, even better, contact seals are a good solution to this problem. To maintain rollability, it is vital that bearings are lubricated sufficiently and to a suitable fill level dependant on torque, speed and load requirements. Equally the type of lubrication should be carefully considered for the application, based on temperature, speed and environmental conditions. If bearings are found to be inadequately lubricated, or filled with an incorrect grease, manufacturers should contact a bearing supplier to inquire about bearing relubrication. SMB Bearings, for instance, has an in-house relubrication service which can clean and refill bearings with a new lubricant. The bearing’s internal clearance can make a big difference. Choose tighter clearances for accurate running but beware of any temperature differences that reduce internal clearances during operation. Choose looser clearances where interference fits are used or there is slight misalignment between shaft and housing. As tempting as it may be, end users should avoid using a bearing close to its maximum load capacity. Bearing load ratings are only a guide. In reality, bearings should be used at around a tenth of the dynamic load rating if long life is required. Heavier loads can be tolerated, but the bearing lifespan will be shortened. Fitting the bearing inner ring on to a shaft by pressing on the outer ring transfers the fitting force via the balls and will damage the raceways. A heavy shock load can occur when the bearing is dropped on to a hard surface which can also cause damage, leading to high levels of vibration. Condition monitoring is becoming more prevalent and this technology allows for early identification of bearing problems but, by taking precautions to prevent issues arising in the first place, machine builders can ensure their bearings are fitted to last.